Material: 68% Polyester, 24% Acrylic, 7% Wool, 1% Spandex. 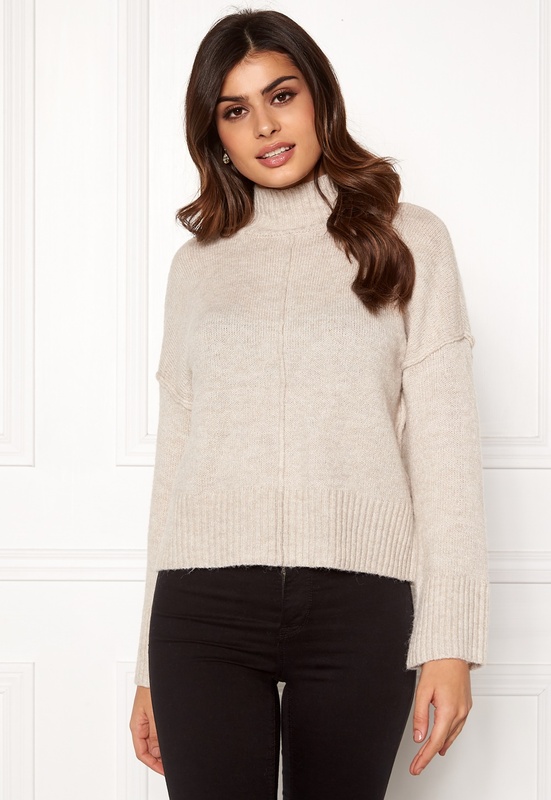 Lovely turtleneck top from ONLY. The top has decorative knit elements and is perfect for everyday wear. - Knit stretch quality - Turtleneck - Knitted at cuffs and lower hem - Decorative knit elements Back length from shoulder 56 cm, bust 116 cm in size S. The model is 178 cm tall and wears a size S. Machine wash at 30 degrees (very delicate wash).